Historic documents, photos, and other items related to the Grace Brethren movement will be better organized, thanks to the support of the Grace Brethren Investment Foundation. The Foundation recently made a gift of $2,500 to the Brethren Missionary Herald Company (GraceConnect) to be used toward the development of an archive devoted to the Fellowship of Grace Brethren Churches. It is being established in conjunction with Grace College and Seminary, which also hosts the Reneker Museum of Winona History. Dr. Jared Burkholder, working in conjunction with GraceConnect executive director, Liz Cutler Gates, and new Grace College president, Dr. Bill Katip, is overseeing the effort. This summer, intern Jeff Himes is inventorying items given to the Archive by Encompass World Partners. The collection includes historic correspondence, photographs of ministries through the years, and other items related to the early history of Encompass, which has been the international missions and church planting agency for the Fellowship of Grace Brethren Churches for more than 100 years. 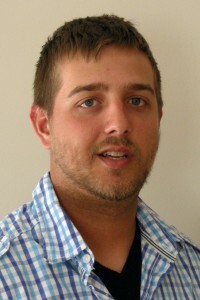 Jeff, a native of Warsaw, Ind., is a recent graduate of Grace College with a degree in History. The GBIF gift will also be used to provide security for the collection and to obtain archival quality storage boxes. The Archive is located in the lower level of the Grace Seminary Building, which was formerly occupied by Encompass, on the campus of Grace College. It is open by appointment only. The development of an archive on behalf of the FGBC has been a focus of the Brethren Missionary Herald Company at the request of the Fellowship Council, the governing board of the Fellowship. Individuals who have items to donate or who wish to make a gift to the archive may contact Liz Cutler Gates at 574-268-1122.